Brown eyes are often underestimated, but the fact of the matter is that they are gorgeous and have a huge amount of potential in the area of eye makeup! While blue eyes and green eyes are a bit more limited in terms of the colors that tend to compliment them, brown eyes are generally thought to be able to be paired with almost any color of shadow or liner! Example of colors which tend to suit brown eyes more than blue eyes include purple and pink. While pink can sometimes make a person with blue eyes appear as if they might have an irritated eye of some sort, pink eyeshadow on brown eyes often looks absolutely perfect. 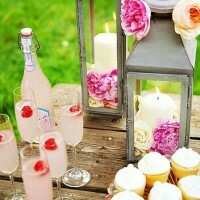 Of course, all of this also depends on the individual as well, and everyone is different. Make sure to keep on reading for information on a myriad of makeup looks that especially compliment beautiful brown eyes. 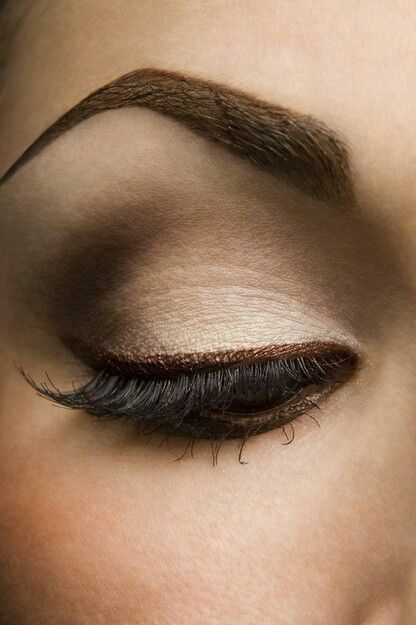 This simple and pretty look beautifully complements brown eyes. This glamorous look brings out all the beauty and mystery of brown eyes. 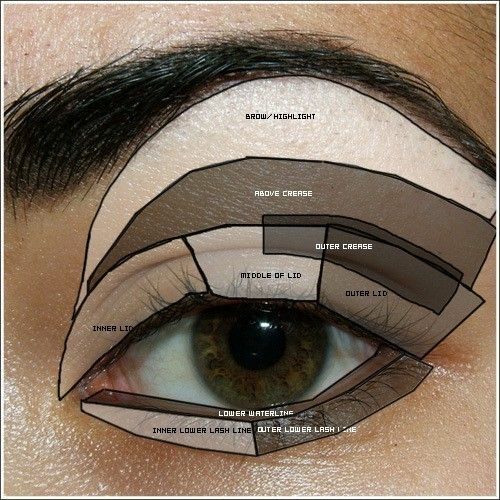 This fashionable and flattering look is sure to suit your beautiful brown eyes. This ultra-glamorous look is perfect for holiday parties or even the nightclub! This ethereal, angelic look will make your brown eyes pop. Lavender does a wonderful job of showing off all of the natural beauty of brown eyes. 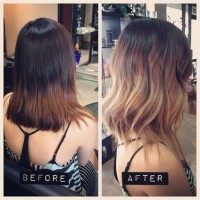 This incredibly pretty look is versatile, and could be done for either day or night. Navy and plum come together to show how gorgeous your brown eyes really are! This fun and flattering look is sure to get your eyes noticed. 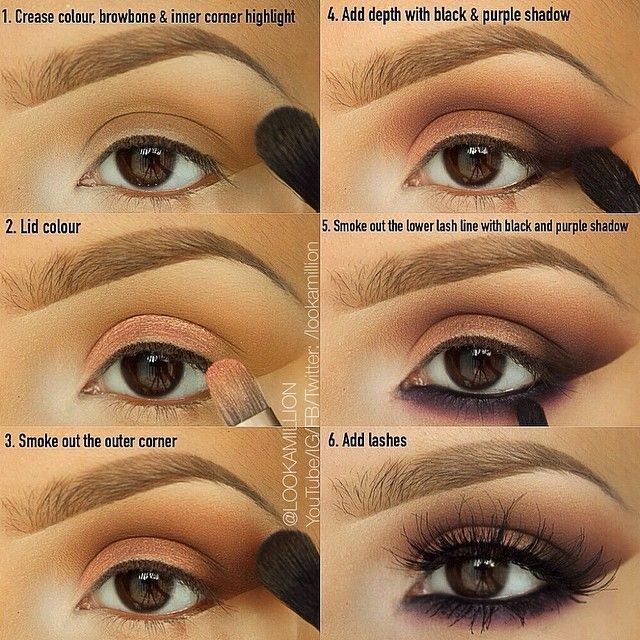 This dramatic look looks wonderful on brown eyes. This is a great evening look for brown eyes. 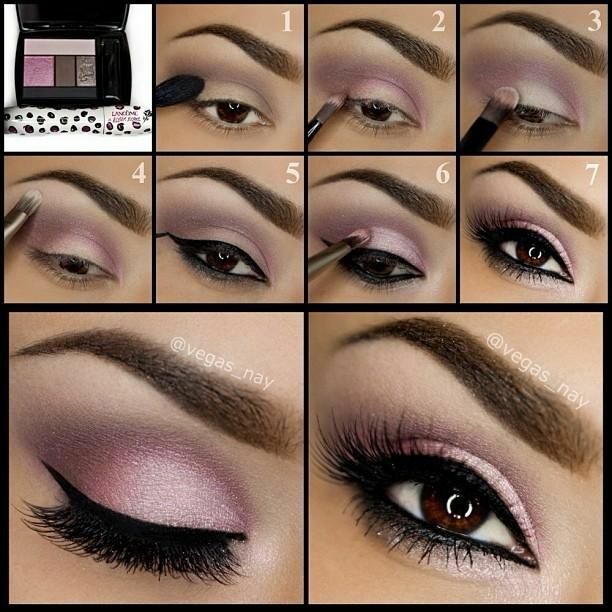 This simple and easy look will brighten your beautiful eyes in no time! 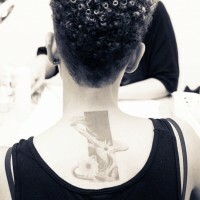 This easy look will bring out your natural beauty all day long. This classic and structured look is professional and polished. 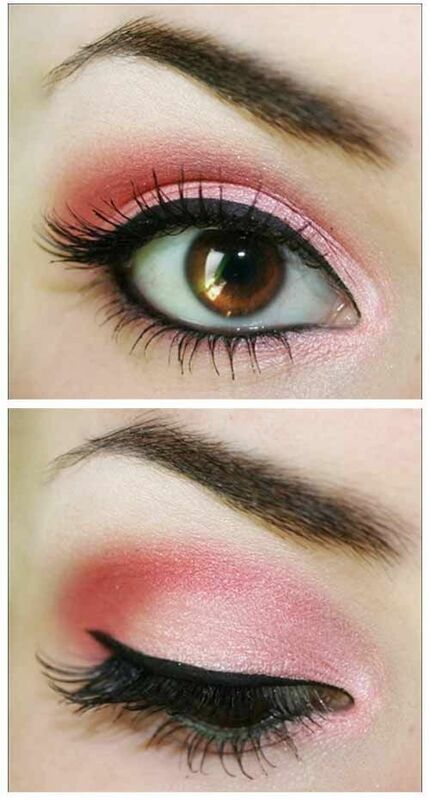 This pretty pink look will bring out all of the glamour of your brown eyes. 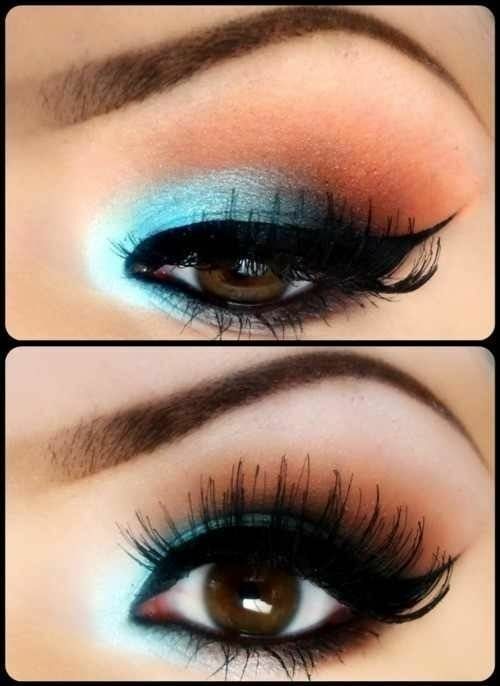 This eye-catching look is surprisingly easy to do, and is great for evening. This versatile and pretty look can suit either day or evening. This wonderfully soft and pretty look will make your brown eyes pop. This trendy look will make you stand out! This incredibly pretty and feminine look shows off all of the versatile beauty and appeal of brown eyes. Wear the colors of the beautiful peacock with this eye look. The amber base will help to bring out the golden flecks in your beautiful brown eyes. This glamorous olive green look will help bring out the green in your brown eyes. 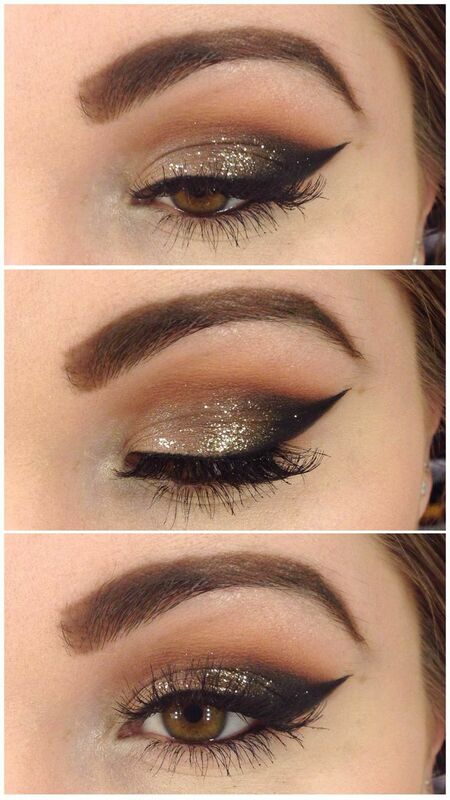 This cat eye with gold glitter is a good evening look for brown eyes. This soft and pretty look is sure to turn heads. 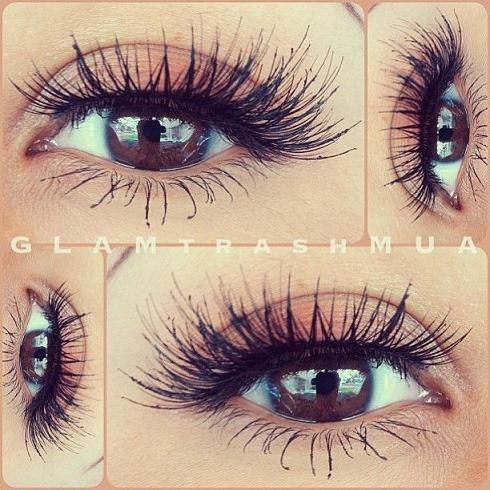 This mega long lash look will show off all the exotic beauty of your gorgeous brown eyes. Beautiful eye styles. How about tips for 64 year old crepe skin around eyes. We still want to be stylish but struggle .